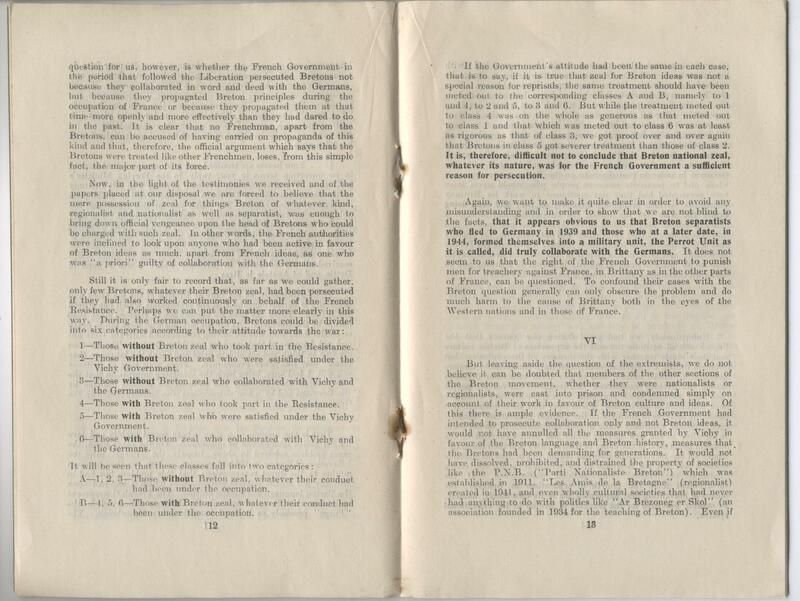 Documents, Press cuttings etc… are in the process of being sorted and filed in folders with relevant headings. 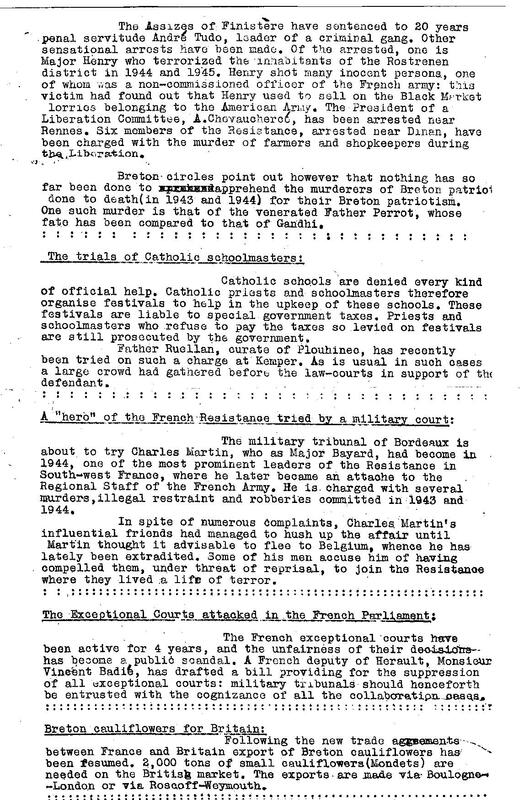 More details on these will follow. 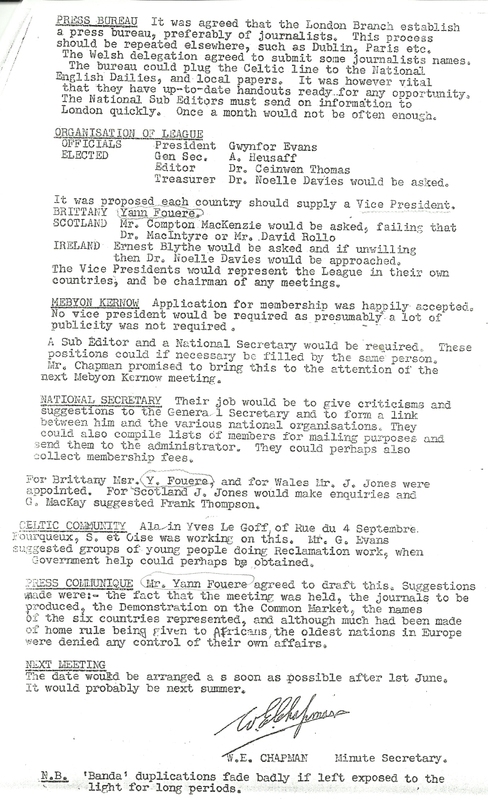 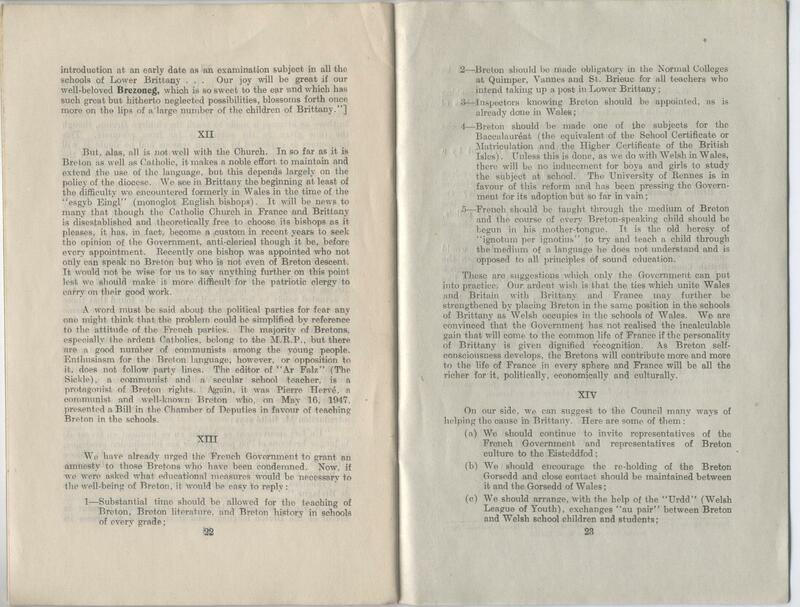 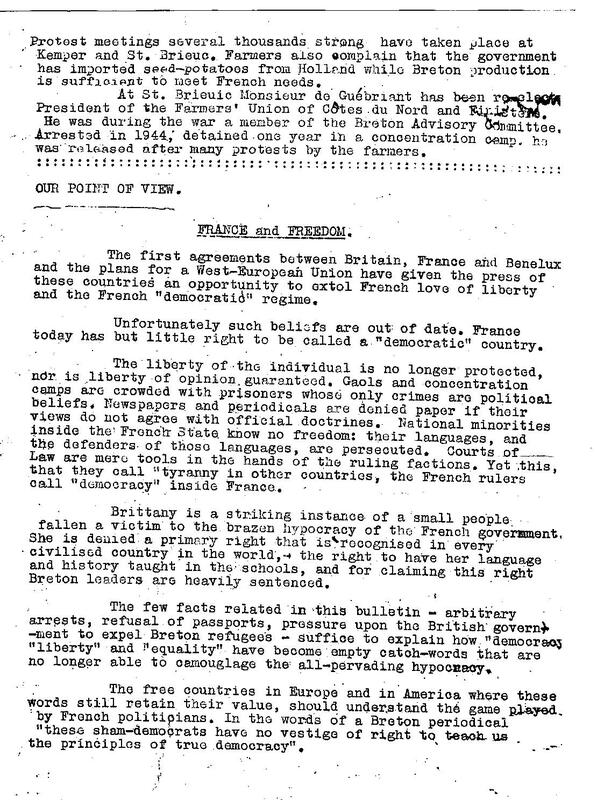 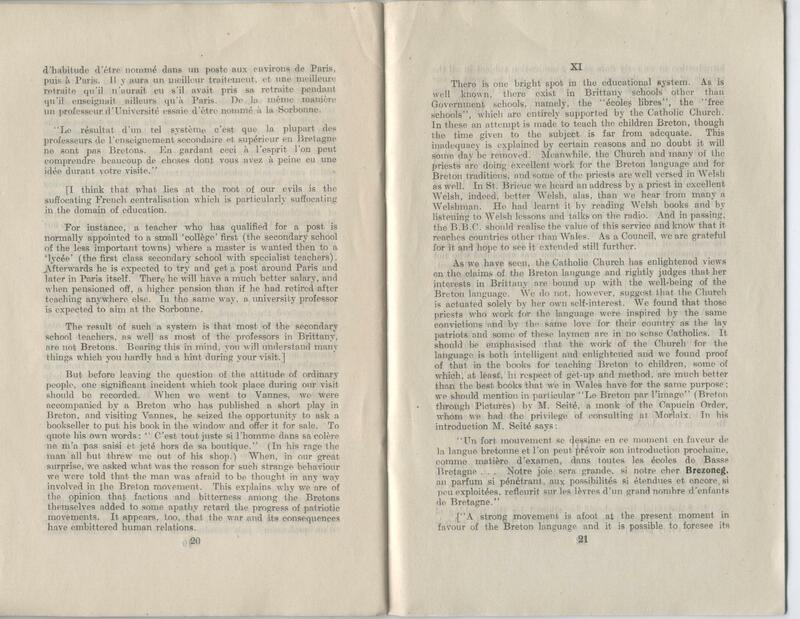 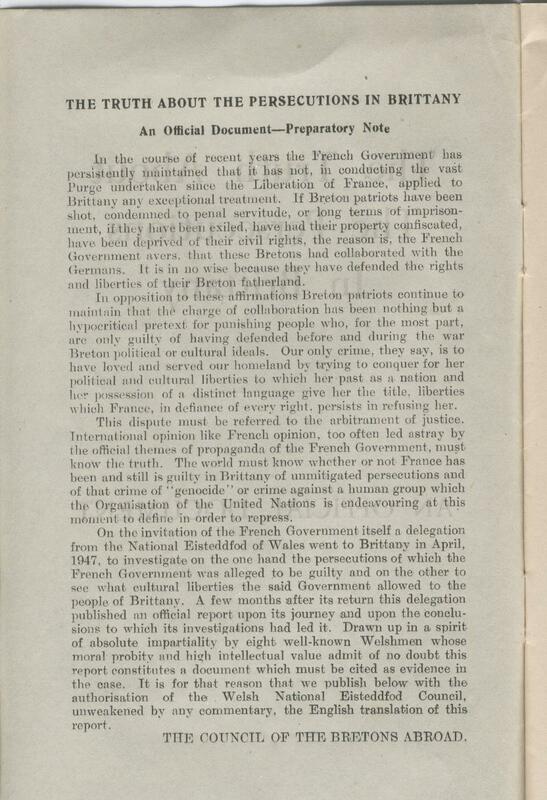 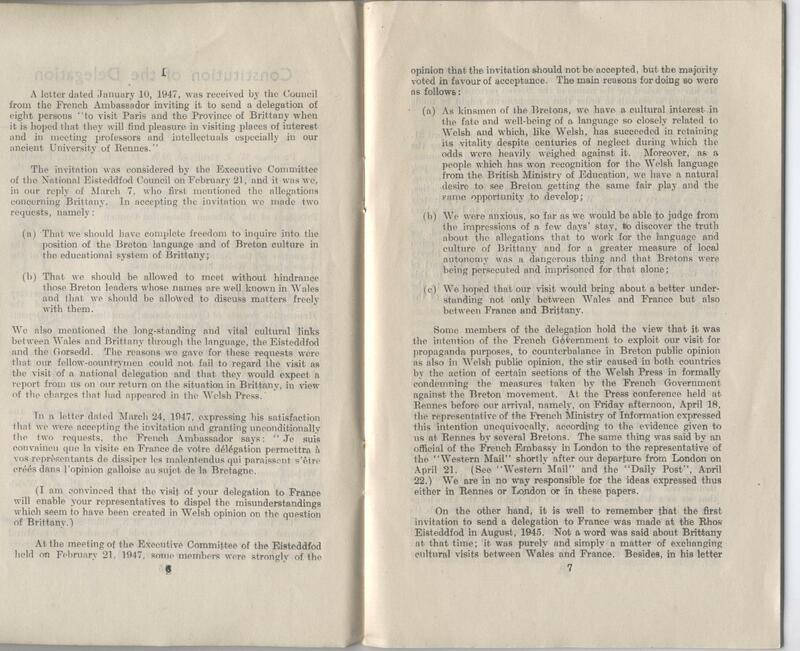 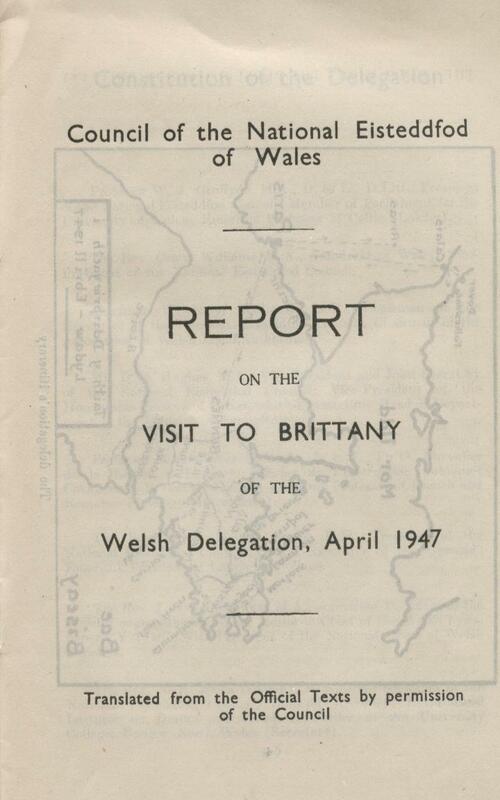 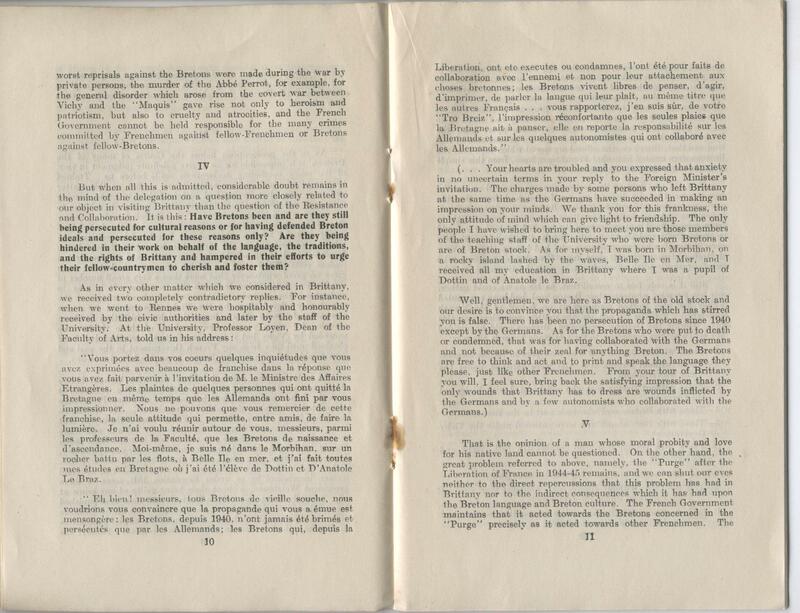 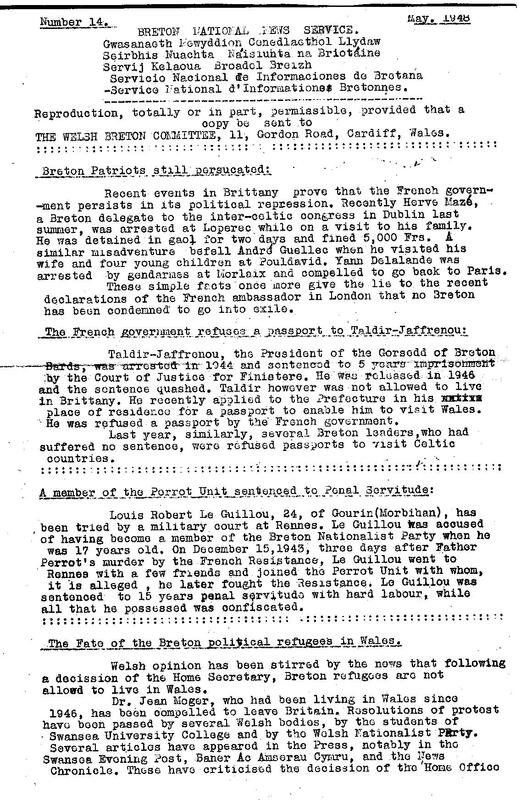 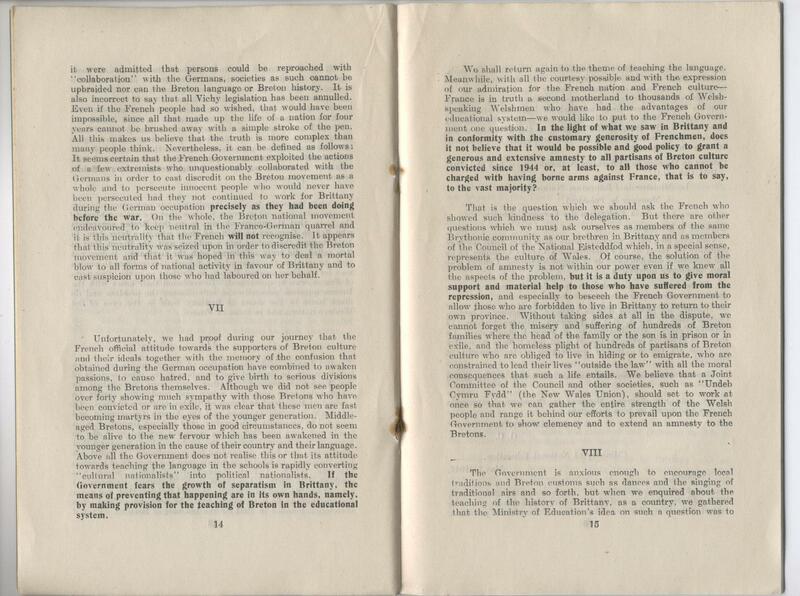 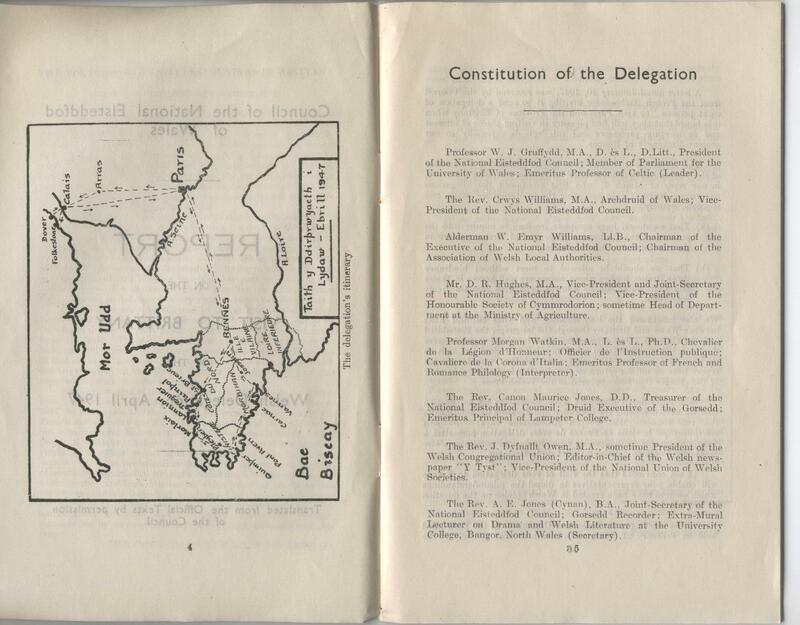 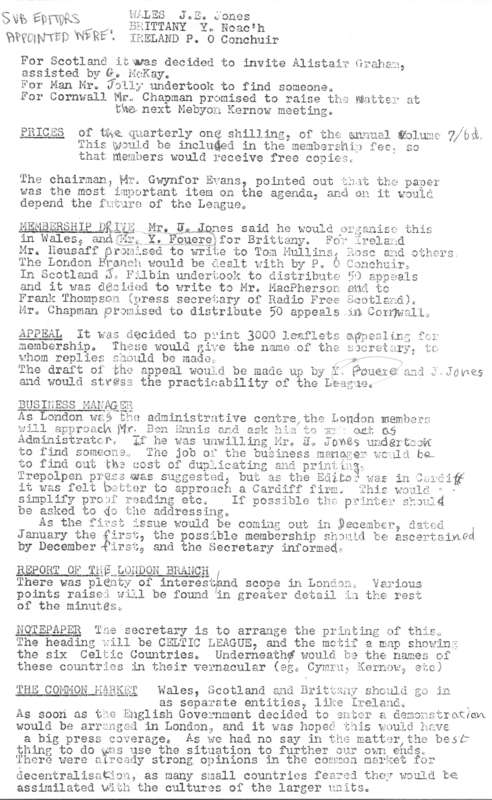 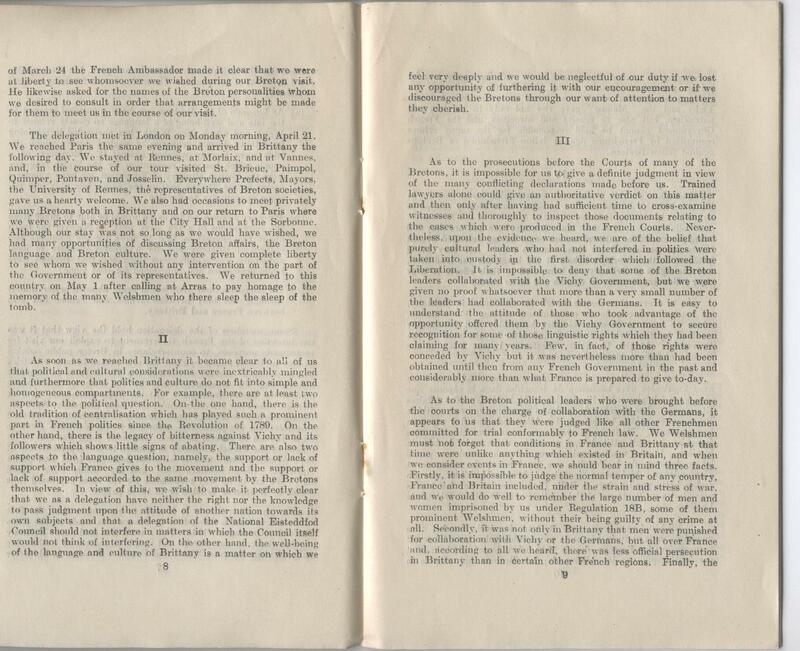 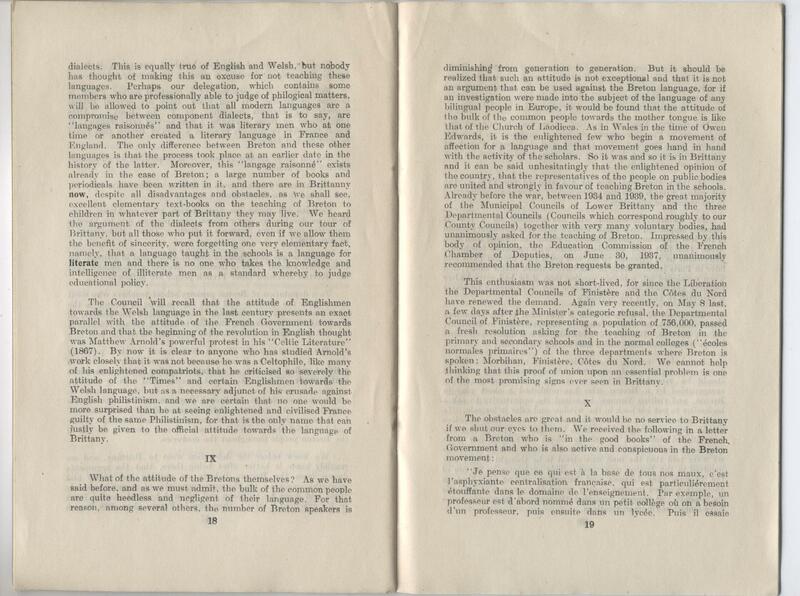 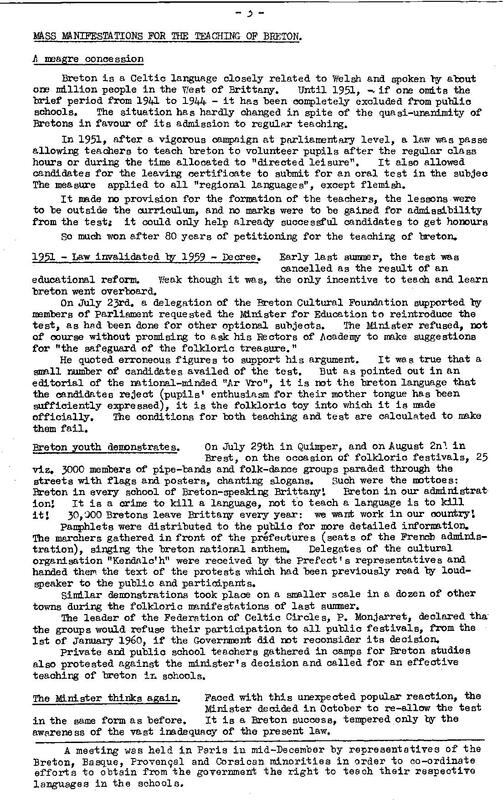 1947 Report on the visit to Brittany of the Welsh Delegation. 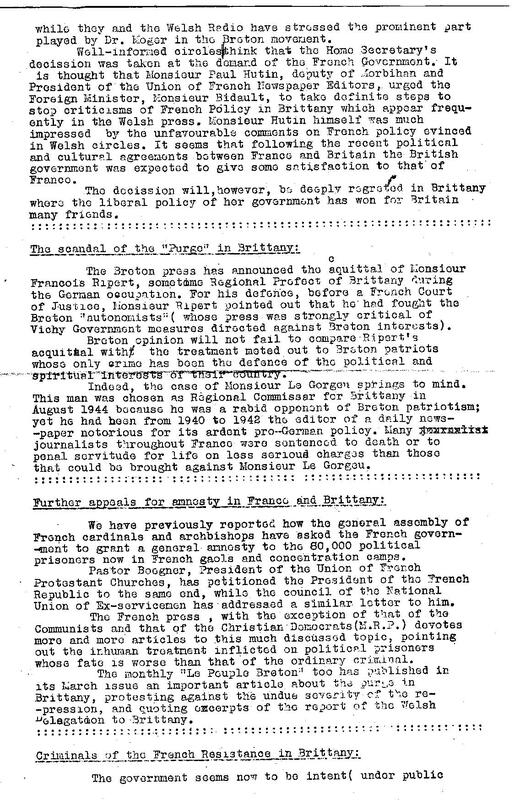 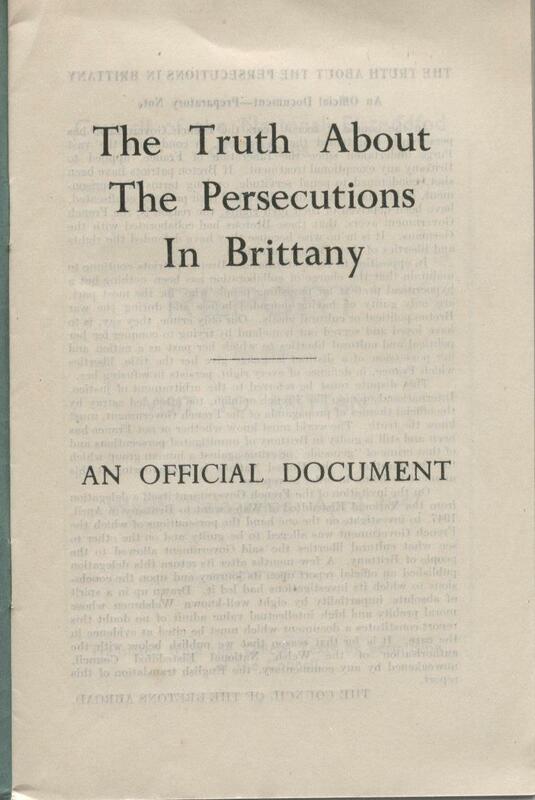 May 1948; The Breton National News Service, No.14 – compiled by The Welsh Breton Committee, Cardiff, Wales. 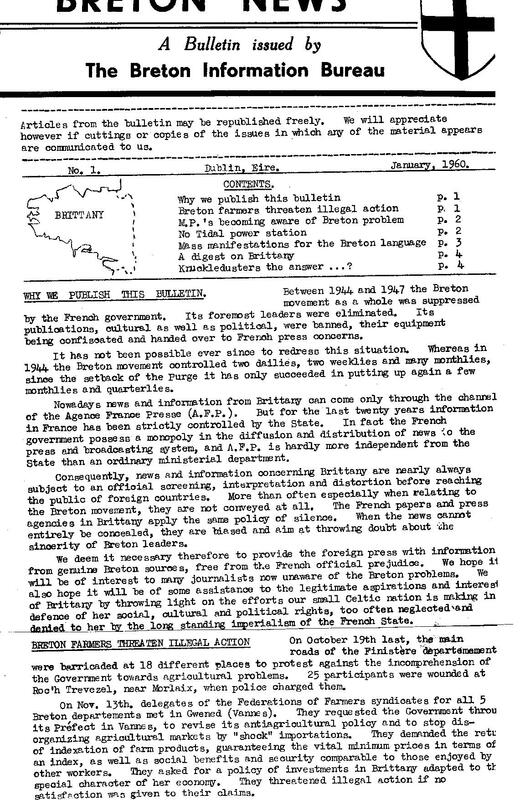 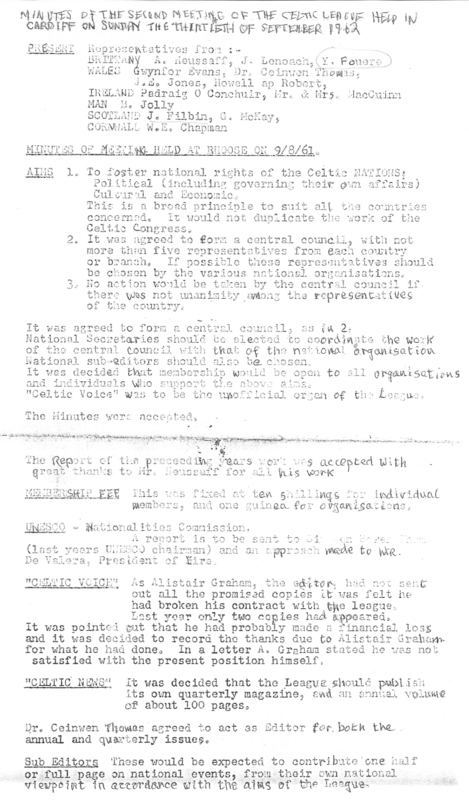 January 1960: ‘Breton News’, No.1 – A bulletin issued by The Breton Information Bureau , Dublin, Eire. 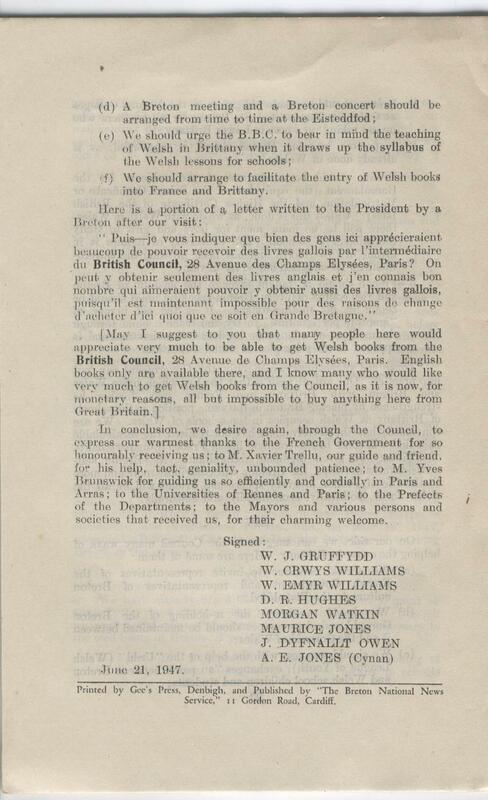 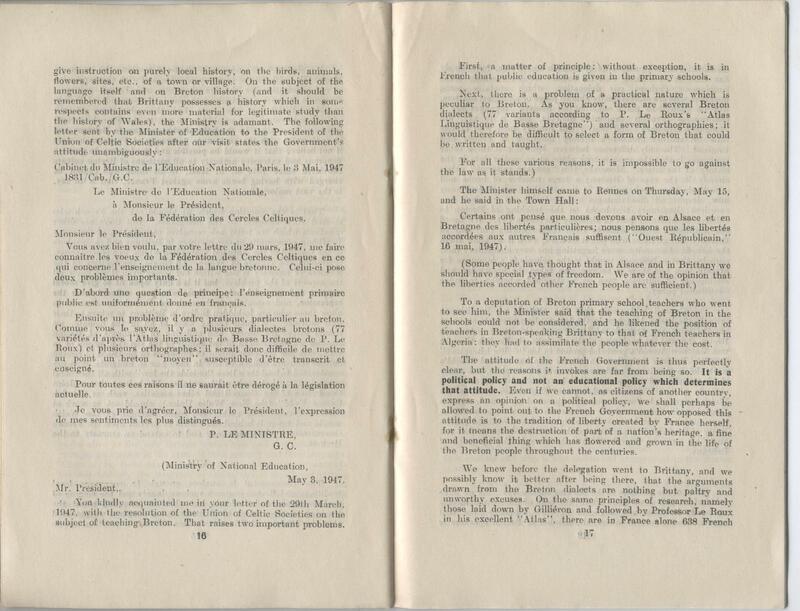 September 30th 1962: Minutes of the second meeting of the Celtic League, held in Cardiff, with Representatives from Brittany: Yann Fouéré, J.Lenoach and A.Heusaff – from Wales: Gwynfor Evans, Dr.Ceinwen Thomas, J.E.Jones and Howell ap Robert – for Ireland: Padraig O Conchuir, Mr.&Mrs.MacCuinn – for Man: B.Jolly – for Scotland: J.Filbin and G.McKay – for Cornwall: W.E.Chapman. 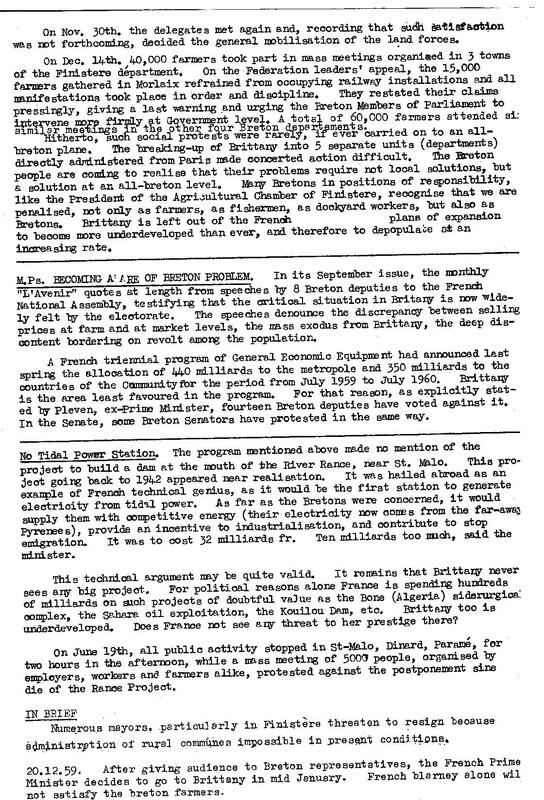 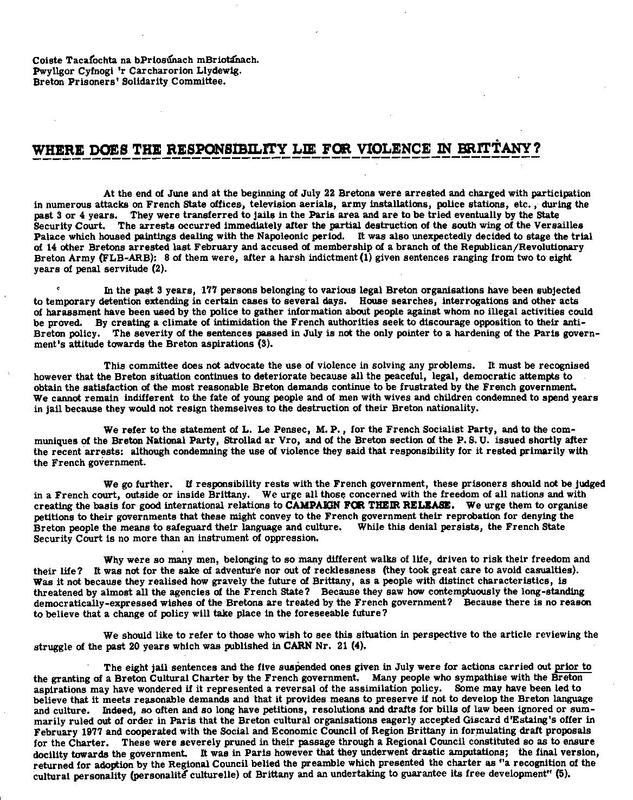 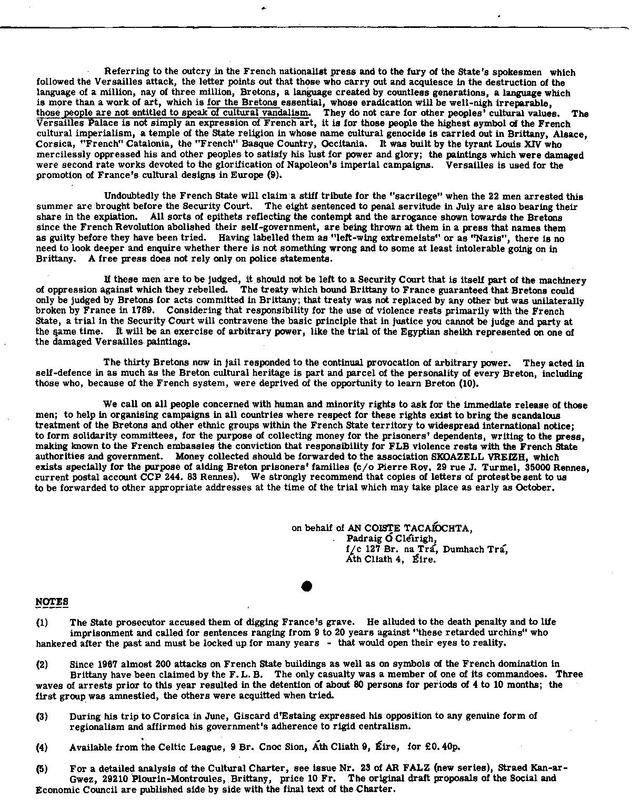 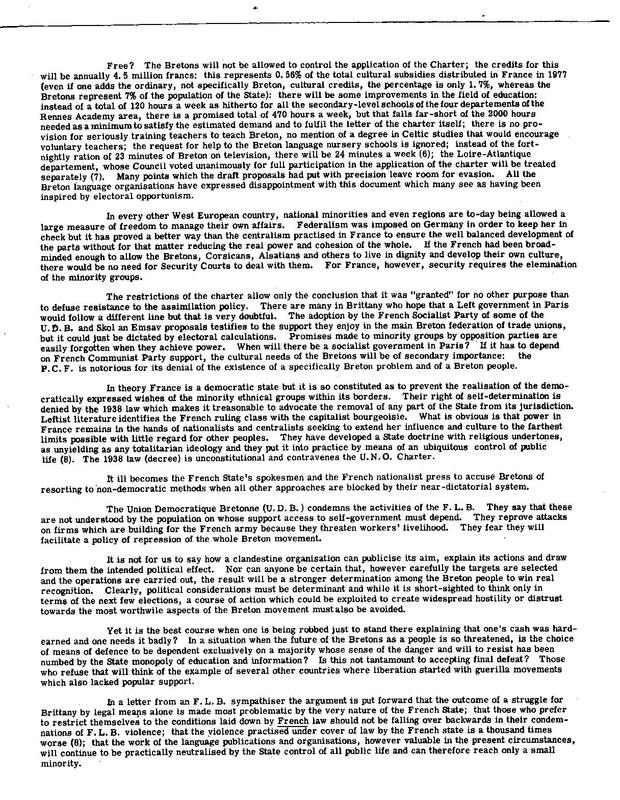 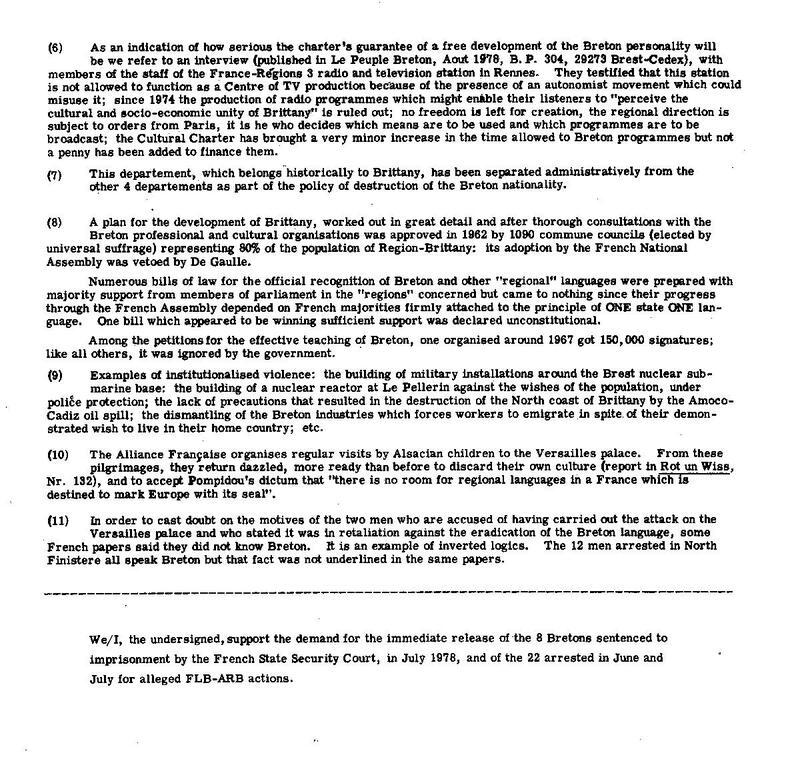 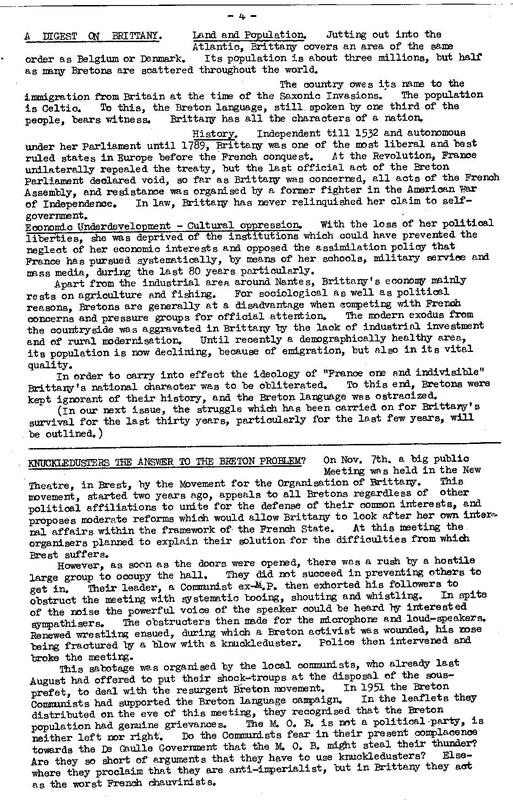 1980: Circular of The Breton Prisoner’s Solidarity Comittee.